Human apolipoprotein A-I (apoA-I) mimetic L-4F inhibits acute inflammation in endotoxemic animals. 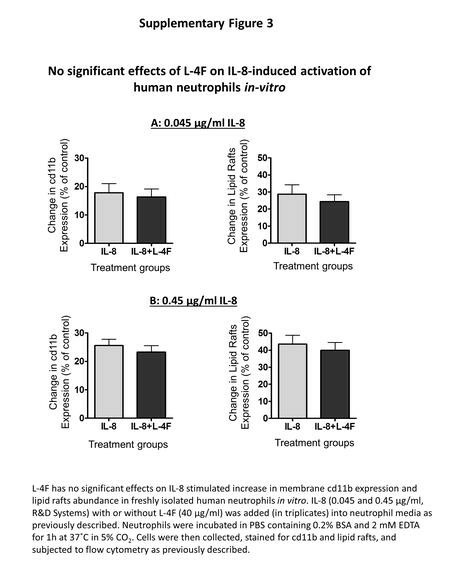 Since neutrophils play a crucial role in septic inflammation, we examined the effects of L-4F, compared to apoA-I, on lipopolysaccharide (LPS)-mediated activation of human neutrophils. We performed bioassays in human blood, isolated human neutrophils (incubated in 50 % donor plasma), and isolated human leukocytes (incubated in 5 and 50 % plasma) in vitro. In whole blood, both L-4F and apoA-I inhibited LPS-mediated elevation of TNF-α and IL-6. In LPS-stimulated neutrophils, L-4F and apoA-I (40 μg/ml) also decreased myeloperoxidase and TNF-α levels; however, L-4F tended to be superior in inhibiting LPS-mediated increase in IL-6 levels, membrane lipid rafts abundance and CD11b expression. 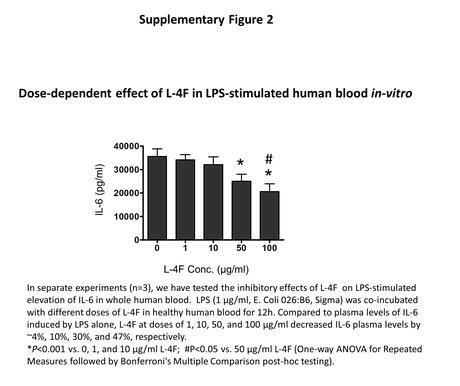 In parallel experiments, when TNF-α and IL-8, instead of LPS, was used for cell stimulation, L-4F and/or apoA-I revealed only limited efficacy. 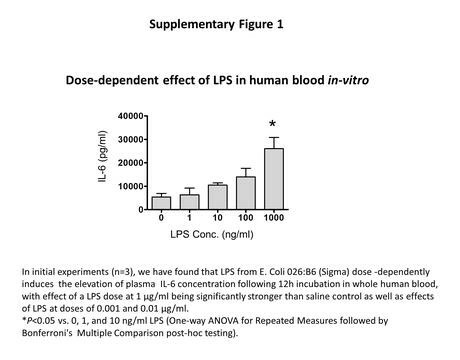 In LPS-stimulated leukocytes, L-4F was as effective as apoA-I in reducing superoxide formation in 50 % donor plasma, and more effective in 5 % donor plasma (P < 0.05). Limulus ambocyte lysate (LAL) and surface plasmon resonance assays showed that L-4F neutralizes LAL endotoxin activity more effectively than apoA-I (P < 0.05) likely due to avid binding to LPS. 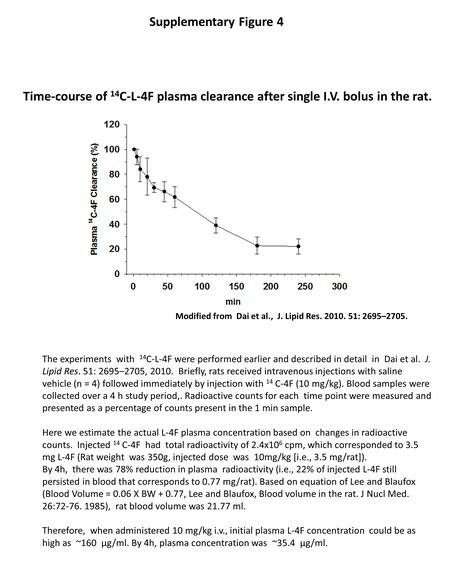 We conclude that (1) direct binding/neutralization of LPS is a major mechanism of L-4F in vitro; (2) while L-4F has similar efficacy to apoA-I in anti-endotoxin effects in whole blood, it demonstrates superior efficacy to apoA-I in aqueous solutions and fluids with limited plasma components. 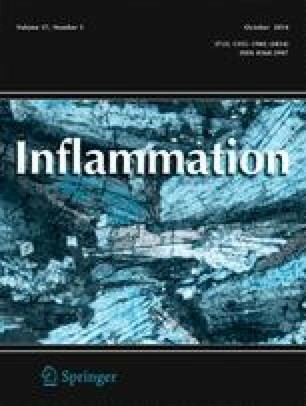 This study rationalizes the utility of L-4F in the treatment of inflammation that is mediated by endotoxin-activated neutrophils. The online version of this article (doi: 10.1007/s10753-014-9864-7) contains supplementary material, which is available to authorized users. SPR experiments and data analysis was performed in Multidisciplinary Molecular Interaction Core (MMIC) facility (NIH Grant 1S10RR026935). This work was supported by NIH grants NHLBI K08HL085282 (H.G. ), R01 HL102371 (A.G.), 5R01GM 082952 (C.R.W. ), NHLBI HL 34343 (G.M.A.). Dr. G.M. Anantharamaiah, who is inventor of the peptide L-4F and co-investigator, is a principal in Bruin Pharma, a start-up biotech company.